Oh, so many stereotypical blogger things on that title. Have you seen this video? 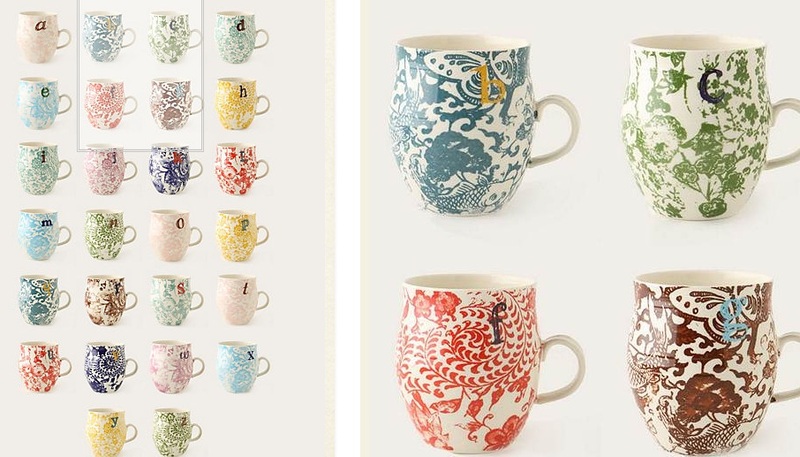 The back story here is that Jess gave me a mug from Anthropology with an S on it. It was Aqua and Red, and you know I love that color combo. Then I picked up a few of them for Christmas gifts; one of them being a B for Becker. I am so in love with these mugs. Anyway, as much as I really loved my S mug, and the M that Melody gifted me, the color combo of the B mug was just so striking to me. Teal and mustard. A total win. When craft night with Jess came along, I picked up some mug inspired teal yarn from the Dollar Tree. Did you know you could get yarn for $1? I also found a small straw wreath form that I got from Salvation Army for $0.50. Lucky for me, Jess had mustard colored startched felt on hand - and so graciously let me hack away at it. I wrapped the straw wreath form in teal yarn (this step takes forever, by the way). I used the felt to create startched flowers and rosettes, using the tutorials linked below. My only issue now is the wreath is a bit petite to be hanging on a door. I'm not sure where to hang it. Any suggestions? I love it! Hmmm, on a cabinet? Have you seen that pin where they use an upside down 3M hook mounted on the inside of the cabinet door?